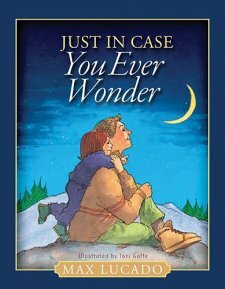 Although Just in case you ever wonder is available in various formats I'm reviewing the ePub version. This is a nice little picture book that tells of the love of a parent for their child. It includes illustrations by Tony Goffe. Children need to feel protected, they need to know you love them and that you will always be there for them. That's what this book is all about. It shows them that they are special and unique and that as they grow and change you will always be there for them. It takes you from the parents thoughts on seeing the baby for the first time through to when the child has grown up. A heart warming book ideal for bonding with your child. I personally recommend it for smaller children though (max 5 years old).